Latest advancements in Automotive & Telecommunication have enhanced connectivity in this age. With the advent of Smartphone, the human race has come a long way with availability of almost every desired piece of information online. But simultaneous use of Smartphone & Automotive is a terrible mix, which is costing people with their lives. Texting and Driving is fast becoming a compulsive disorder for us humans from being glued to our Phone screens and posing danger to the lives of other road users. Distracted Driving Statistics 2016 data shows that more than 40,000 people died in the motor vehicles crashes in 2015 – this signifies a 6% rise as compared to 2015. These statistics also make 2016 the deadliest year on American roads since 2007. A large number of these accidents are the result of distracted driving, which claimed 3,477 lives in 2015 alone. Concerned authorities are now trying to take steps to discourage and prevent this dangerous behavior. It is important to point out that there has been an increase in the number of accidents involving distracted driving, but there is strong evidence showing underreporting of driver texting or using cell phone in crashes. This is the reason why there is a great deal of under-estimation of the magnitude of this safety threat. A study interviewed collision investigators and about three quarters of them said they had been unable to report exactly how many road accidents were actually linked with cell phone use. They said that there would be a significant increase in the figures if they were able to report all accidents involving cell phone use. Unfortunately, there is no reliable way to determine exactly how many crashes are due to distracted driving, and in most cases, police has to rely on drivers to admit the use of cell phones. Underreporting of these incidents directly affect national prevention priorities, media attention, funding decisions, legislations, and even roadway engineering. With inadequate reporting, the issue is never going to receive the attention it needs, and that is only going to make matters worse in the coming years. In fact, new studies show that drivers are distracted from driving by certain things up to half the time. The use of cell phones while driving increases your risk of having an accident; however, sending text messages while driving is even riskier. Distraction from texting is far more dangerous than other activities such as adjusting the sound system, talking with a passenger, or even talking on a cell phone. Texting involves three mental/physical actions – visual, manual and cognitive – and that is the reason why it is far more dangerous. The GHSA estimates that up to 25% of crashes are due to distracted driving. This is the reason why the GHSA has suggested that states should take steps to curb distracted driving, and the first step is to ban texting while driving completely. It also says that states should take steps to enforce the existing laws associated with distracted driving. It seems that states have started to recognize the scope of this problem, as 46 states have already banned texting while driving. In 41states, an officer can cite a driver for texting even when they have not broken any other traffic law. In some states, the enforcement is still secondary. The state of Texas now has a texting ban as well. It is important to note though that the new texting while driving bill would still let drivers in Texas to read or type texts at spotlights. While there is more awareness regarding texting and driving, things are still in the early stages. Businesses with employees on the road need to pay special attention to this issue. It is usually important for enterprises to equip sales professionals, fleet drivers, and other traveling employees with cell phones, but they have to ensure that they do not use these devices at the wrong time. Thankfully, many companies are now setting up internal use policies and educating drivers and employees about state laws regarding cell phone use while driving. Smart enterprises are taking things forward by making use of specific tools to make it easier for their employees to manage cell phones while driving. A good example is the use of a service called DriveSmart, which is an offering of T-Mobile. The service automatically sends incoming calls to voicemail and informs the caller that you are currently driving. This may look a simple tool, but it may really help reduce the dangerous impact of cell phone use in a moving vehicle. Consider somebody going for ride on his favorite cruiser bike, around the same time, a guy driving a fast moving four wheeler around the corner decides to text his waiting family back home and bang! Every other day, we hear of so many dreams being shattered due to sheer negligence, here are some of the road accidents stats that leave grieving families. Each year, more than 1.3 million people die in road accidents. Statistics show that in 2015 alone, more than 3,477 people died because of motor vehicle crashes involved distracted drivers. In the same year, 391,000 people received serious injuries due to distracted driving. Distracted driving is among the leading cause of motor vehicle crashes with more than 9 people losing their lives every day because of distracted driving. Well over half of all fatal accidents involve young adults between 15 and 44 years of age while hiking on their hybrid bike on hilly areas. 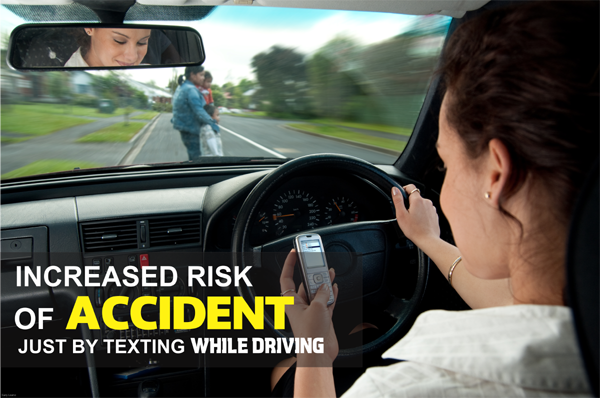 You increase your risk of having a crash by 23 times just by texting while driving. More than 400,000 people under the age 25 die while driving. Road accidents cost middle-income countries about USD $65 billion each year. Over 1060 people receive serious injuries because of crashes involving a distracted driver. In all the cases involving distracted driving, 1 out of every 3 people loses control because of texting while driving. About 40% of teens in the U.S. have admitted that they have been in a car with driver using a cell phone while driving. Your brain is 37% less involved in driving your vehicle when you start using your cell phone. About 10% of all distracted drivers involved in an accident are under age 20. Texting while driving a vehicle increases your chances of having an accident by two times over non-distracted drivers. 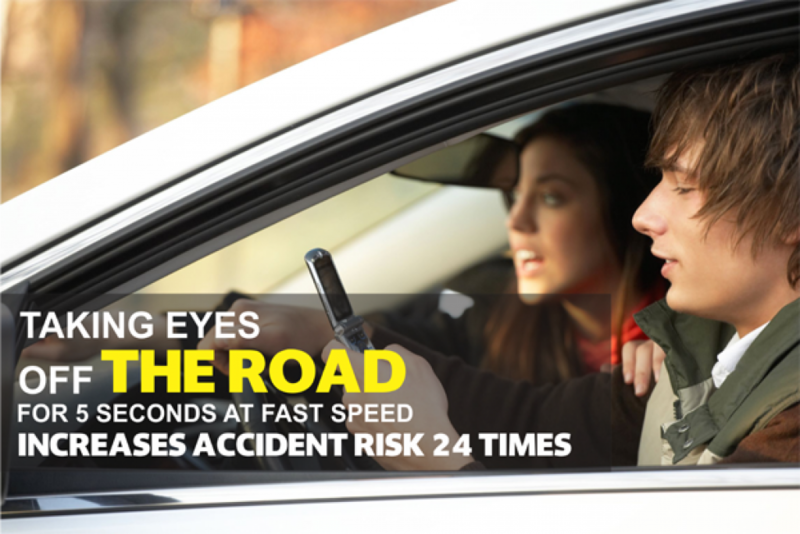 You take your eyes off the road for at least 4.6 seconds when sending or receiving texts while driving. It is enough to cause a fatal accident. Texting while driving is now banned in 46 states. You cannot use cell phones in 14 states and the District of Columbia while driving. There was no texting ban in Texas before, but the Governor has now approved the ban on handheld communications by drivers. Text messaging bans have grown by 62% from 2010 to 2016. Surveys have found that many people do weird and dangerous things while driving including changing clothes and brushing teeth. More and more drivers are now speaking with visible headsets, with the percentage increasing from 0.4% in 2014 to 0.6% in 2015. There has been an increase in the number of drivers visibly handling devices while driving with percentage moving up from 2.2% in 2015. Taking your eyes off the road for 5 seconds at a speed of 55mph is the same as traveling the length of a football field with your eyes closed. A study found that more than 31% of drivers within the ages 18 to 64 years admitted that they had sent or read a text message or email while driving a vehicle in the past 30 days. According to a survey conducted in 2015, three-quarter of drivers said that they have other people using cell phones while driving, while one-third of them admitted that they have also used their smartphones while driving. It is important that you play your part and do everything you can to avoid getting into an accident. It is equally important to play your part in raising awareness about the dangers of texting while driving. You should speak up when you see someone driving while distracted. 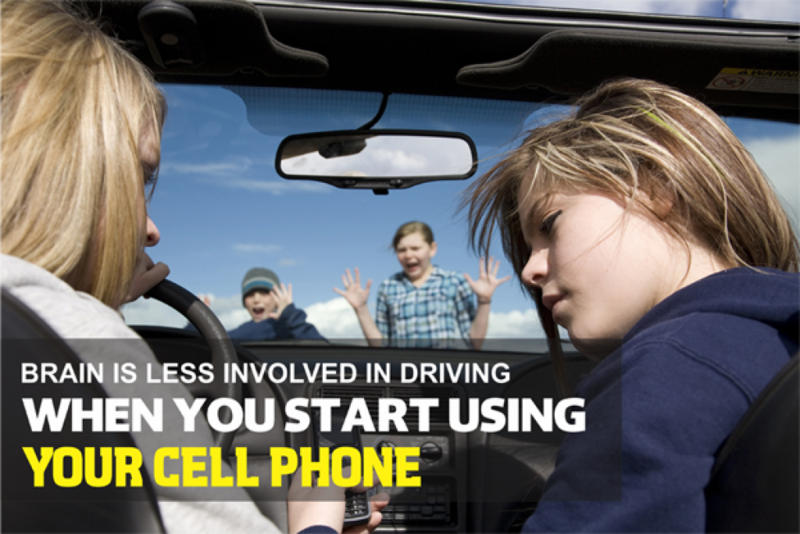 Parents should also lead by example and encourage teens to avoid using cell phones while driving. It is also a good idea to use certain apps that block texting while you drive. Technology can help people ward off the dangers of distracted driving posed by technology itself. Here are some of the most suitable apps which can help parents keeps their kids from indulging in distracted driving. These apps can be helpful only if the users are serious about controlling their habit of texting while driving. 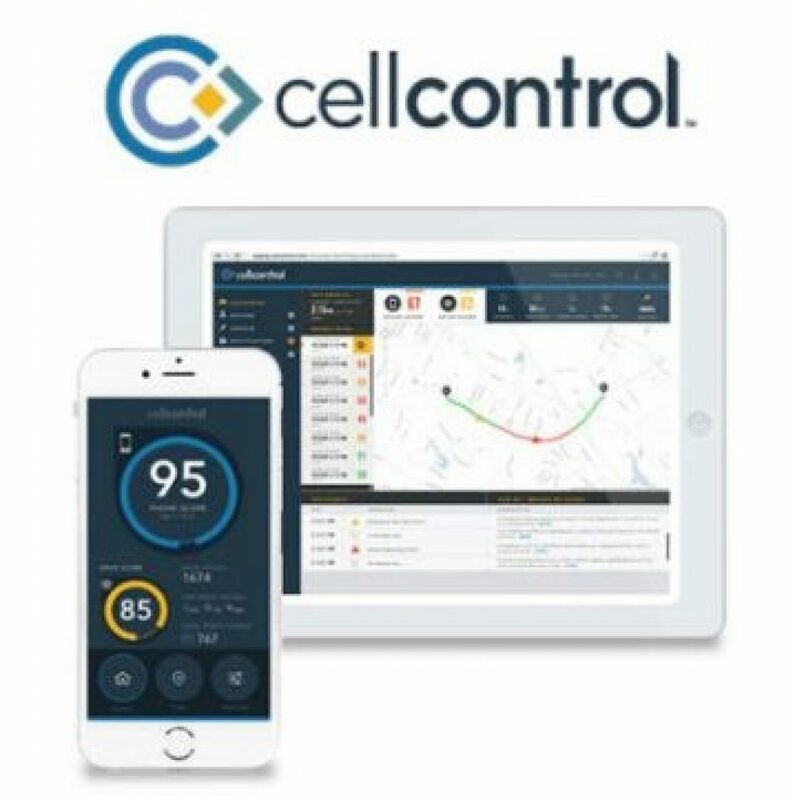 Basically designed for parents, it is a subscription-based service and features a device installed under the dashboard along with an app that keeps your teen from receiving or sending texts while driving. When the car is in motion, the app disables other phone features as well. 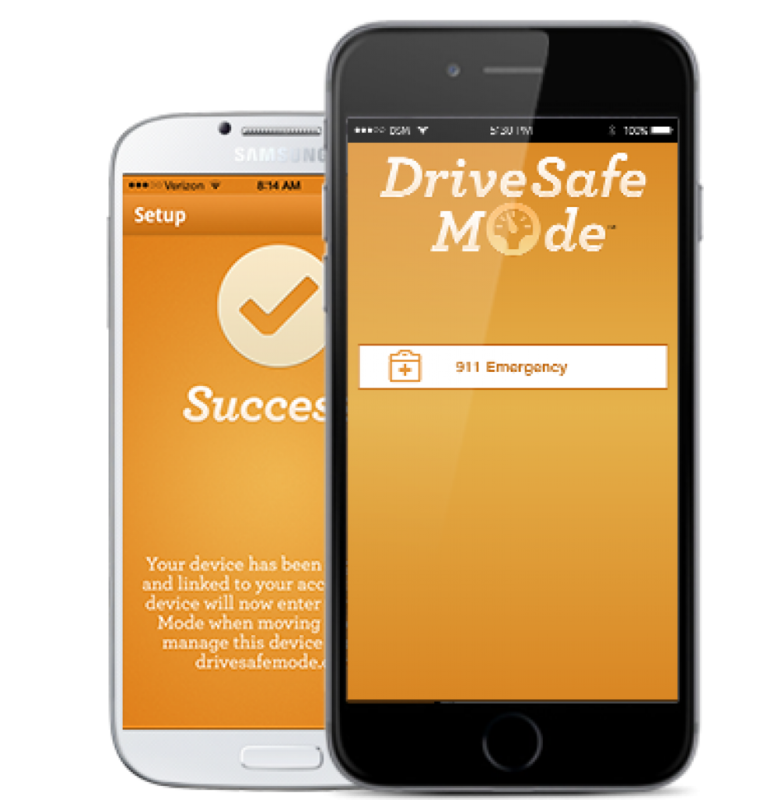 The app prevents emailing and texting while driving and notifies a parent or guardian whenever someone uses the phone by deactivating the app. My personal favorite, LifeSaver app is a GPS based app that encourages the drivers to break away from fatal distracted driving habits. 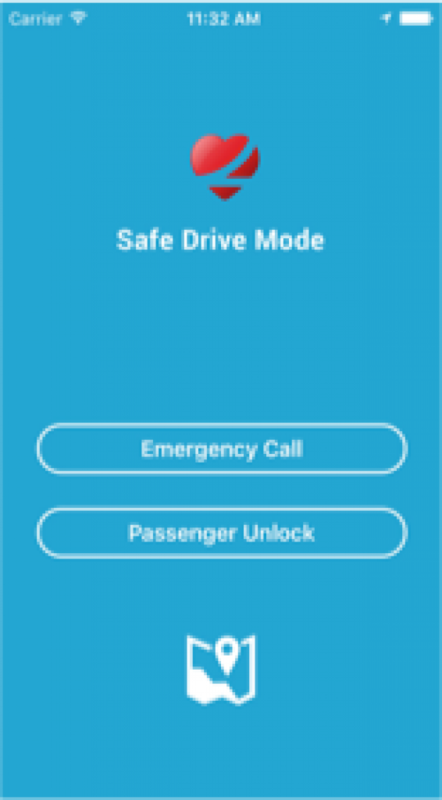 It blocks the calls, texts while you are driving and automatically inform people who tried calling you during your travel, once you reach your destination safely. This app can be used by the parents as well as business establishments to keep a check on the driving behavior through Driver Portal Dashboard. You can also introduce a reward system for the ones who display a responsible driving behavior to encourage them be responsible while on the wheel. 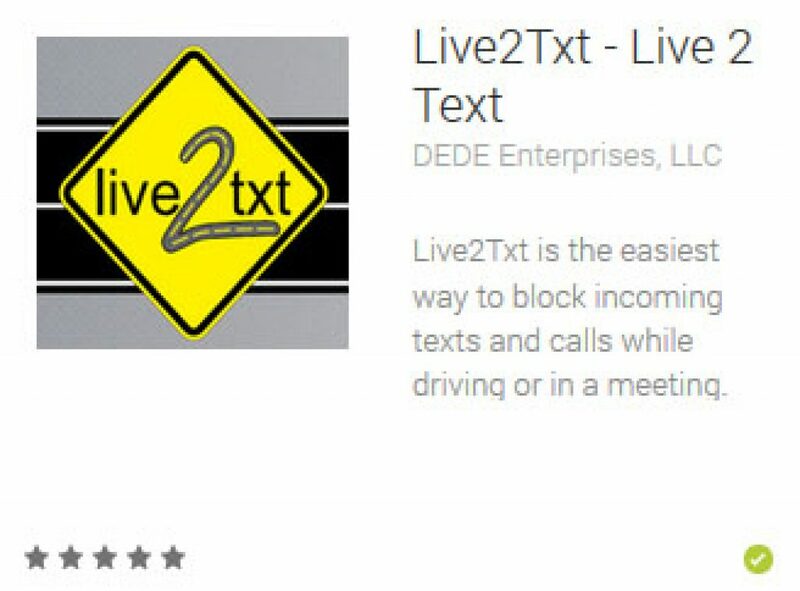 You can block all incoming calls and texts while driving with the help of this app. Simply turn it on when you get ready to drive. The app will automatically send a reply to the caller that you are currently not available. The app offers some rewards when you text while driving. Activate it when you get ready to drive and it will start giving you points that you can use to enjoy discounts at participating stores. Car batteries can also be the reason of accidents as in the night, if your car battery goes down or gets off suddenly, it can be the main reason of car accidents. So make sure to charge your car battery. You can also read more about reconditioning your existing batteries at HSP Health. Alabama Ban on all cell phone use (handheld and hands-free) for novice drivers. $25 fine for the first offense, increasing to $50 and $75 and two points on the driver's license. Alaska House Bill 8 prohibits drivers from using electronic devices with a visual display while driving. An officer can pull one over for an offense without having witnessed another violation. For the 2008 HB 8, violators are guilty of misdemeanor. If death is caused by violation, violator is guilty of a felony. Arkansas All drivers, regardless of age or experience, prohibited from sending text messages while driving Offenders can face fines up to $100. A violation of the law is a primary offense, meaning it can be the sole reason for a traffic stop. District of Columbia All handheld cell phone use banned There is a $100 fine for repeat offenders for each violation. The ban is considered to be a “primary” laws, as it does prohibit use of cell phones by bus drivers. Florida Senate bill SB 52 prohibits drivers in Florida from typing into a virtual keyboard and sending or reading messages. However, a driver can only be charged for the violation if they are cited for another motor vehicle violation. $30 fine on the first offense. If texting results in a crash, the driver would be assessed six points. Points lead to increased insurance rates. Georgia Prohibits writing, sending, or reading any text-based communication, including via internet; also prohibits drivers under 18 with provisional licenses from talking on cell phones while driving. Up to $150 The ban is considered to be a “primary” laws, as it does prohibit use of cell phones by bus drivers. Idaho Illegal for all drivers Anyone who violates this law will be guilty of an infraction and will not result in any violation point counts as it is as prescribed in section 49-326, of Idaho Code. Illinois Illegal for all drivers to use handheld devices. Only hands-free devices such as speakerphones, Bluetooth, and headsets are permitted. Texting is prohibited for all drivers in Illinois. Violation fines start at $75 This is a Primary Law, which means that the driver can receive a ticket for the violation without other traffic violations taking place (such as speeding). Indiana All drivers prohibited from reading or sending text messages. Drivers under 18 prohibited from using cell phones for any purpose. Up to $500 fine. Up to $500 fine. Kentucky House Bill 415 prohibits the following:Reading, writing, and sending email or text messages by all drivers when the vehicle is in motion. All cell phone usage by drivers under 18, regardless of license type. $25 for first offense, $50 for subsequent offenses. Drivers 18 and over allowed to read, select, and enter phone numbers or names in order to make a call. Louisiana SB9 prohibits the following: Text messaging ban for all drivers. Primary enforcement begins Aug. 15, 2010: Fines up to $175 (first offense), $500 (second offense) Drivers under 18 years old may not use wireless devices while operating motor vehicles. Maine Prohibits texting while driving Fine of $100 for first offense and then increased fines for subsequent offenses. This is a Primary Law. Maryland Prohibits writing or sending text messages as well as using handheld cell phones while operating motor vehicle or while in the travel portion of the roadway. Fine up to $500 Exception for use of GPS or emergency situations. Massachusetts Prohibits drivers from using phones, laptops, pagers, or other hand-held devices. First offense: $100, second offense: $250, and 3rd offense: $500; If one is under 18, 1st offense: $100 fine in addition to a 60-day license suspension, and attend a mandatory "attitude" class. 2nd offense: $250 fine and a 180-day suspension. 3rd offense: $500 fine and a-one year suspension. Use of a phone is banned to all people under 18. Once 18, a driver can make hands-free or normal calls. Michigan Reading, typing, or sending while vehicle is moving $100 first offense, $200 each subsequent offense Exception for use of GPS or emergency situations. Minnesota Any form of text messaging while driving is illegal, and is considered a petty misdemeanor statewide. Up to $300. Prohibits drivers under 18 from talking on a cellphone while driving. Mississippi Illegal for all drivers Fines up to $500; or $1,000 if an accident results. Missouri Text messaging while operating a motor vehicle prohibited for persons under 21 and for commercial vehicle operators. Points assessed against license This is a Primary Law. Montana In cities such as Missoula, Bozeman, Helena, Whitefish, Butte-Silver Bow, Hamilton, Great Falls and Billings. It is illegal to text while operating a vehicle. $50 First offense, $100 second offense, $200 third offense. 2 point moving violation is added onto one's record. Nebraska Text messaging is banned for all drivers on Nebraska’s roads and highways. Fines $200–$500 plus 3 points against driver’s license. Nevada Drivers are prohibited from using either a cell phone or other wireless communications device to access. Global positioning systems (GPS) are not covered by the law. Fines of up to $50 for a first offense; $100 for a second offense that occurs within seven years; and $250 for a third offense the occurs within seven years. New Hampshire Use of handheld devices is illegal for all drivers 100 This is a Primary Law. New Jersey All drivers are prohibited from using handheld cell phones $200 to $400 for the first offense, $400 to $600 for the second offense, and up to $800, three points on your license. Anyone under the age of 21 who have either a learner’s permits or probationary licenses are prohibited from using all cell phones. New Mexico Illegal for all drivers $25 for a first offense, then $50. This is a Primary Law. New York No person shall operate a motor vehicle while using any portable electronic device while such vehicle is in motion. Fine up to $150 plus mandatory $85 surcharge fees. Violation also carries 5 driver violation points. Does not apply to the use of a portable electronic device for the sole purpose of communicating. North Dakota Text messaging is prohibited for all drivers, and driver under the age of 18 are prohibited from using any electronic communications devices, including cell phones. $100 fine. This is a Primary Law. Ohio Illegal for all drivers. Primary offense for drivers under 18 years old. Youth drivers may be stopped and cited for texting while driving. Secondary offense for adult drivers. For offenders under 18: 1st offense: $150 fine and 60-day license suspension 2nd offense: $300 fine and 1-year license suspension. For offenders over 18: $150 fine The use of any handheld device by drivers under the age of 18 is illegal. Oklahoma It shall be unlawful for any person to operate a motor vehicle within this state while using a hand-held electronic communication device. Maximum fine of $100. No points on driving record. Oklahoma State Governor Mary Fallen signed House Bill 1965 on May 5, 2015 making texting while driving illegal in the state. Oregon House Bill 2377 prohibits all drivers from using a mobile communication device while operating a motor vehicle. Minimum fine of $142.00 HB 2377 exempts use of hands-free devices by all drivers 18 and over. Rhode Island Text messaging outlawed for all drivers on Rhode Island roads. Those under the age of 18 prohibited from using cell phones altogether. School bus operators prohibited from using cell phones while driving. $85 for the first offense, then $100 and then $125. 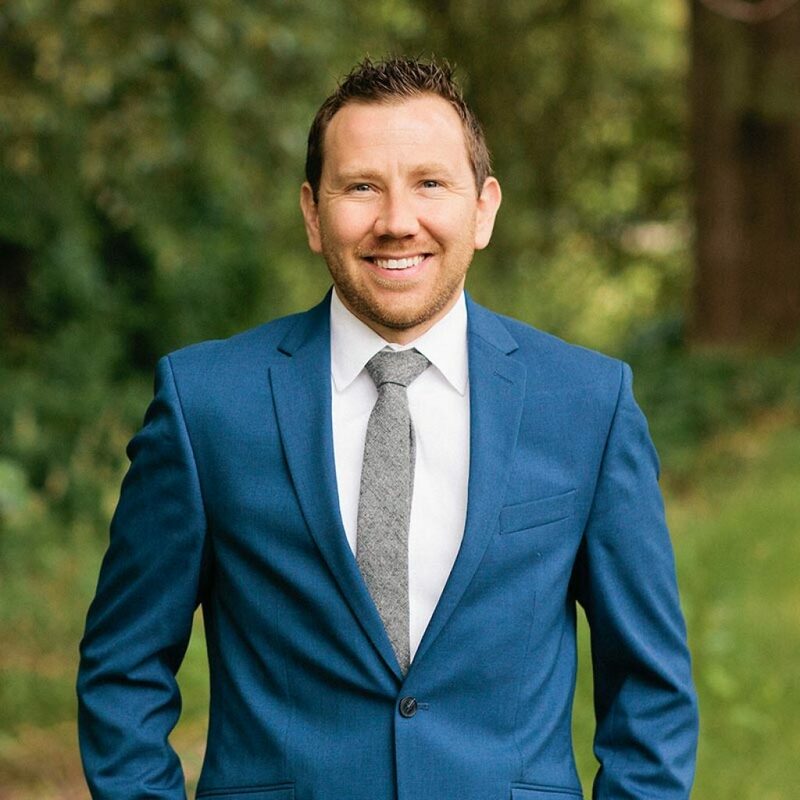 Considered “primary” laws, which means that an officer can pull one over and issue a citation for the offense without having to witness some other violation. South Carolina Prohibits driver from writing, sending or reading a text while driving, but can text only if they are legally stopped or are using a hands-free device. Also includes social media & emails. $25 fine the first offence; $50 fine for subsequent offences Known as bill S 459, it supersedes at least 19 different city, as well as two county, ordinances on texting. Tennessee All drivers prohibited from transmitting or reading a written message while vehicle is in motion Up to $50, Plus court costs not to exceed $10 Also known as Senate Bill 393. Washington Illegal for all drivers $124, more if an accident results Text messaging or cell phone use without a hands free device is a primary offense. Wyoming Sending message from any electronic device while driving declared illegal. $75 for first offense. Distracted driving is becoming a dangerous epidemic in this country. Cell phones, tablets, smart watches, laptops and other technological devices have improved our lives by providing us access to data almost instantaneously. However, with technology and accessibility comes responsibility. 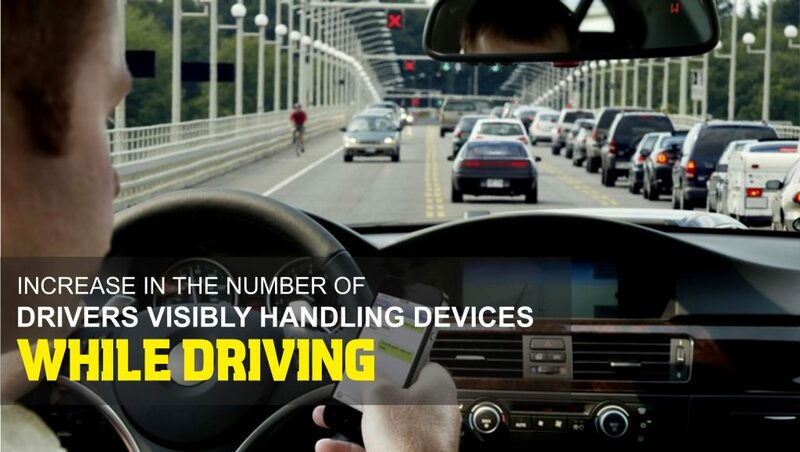 Drivers must exercise great self discipline so as not to engage a device while operating a motor vehicle. In Washington, Governor Inslee just signed into law prohibitions against holding or operating a device (phone, laptop, or tablet) while driving a vehicle. First-time offenders will receive a $136 ticket and $234 per additional citation in the next five years. Beyond potential tickets, drivers can also be charged with a crime if they are acting in a negligent or reckless manner. There are additional repercussions if you should cause a collision. Bottom line, states like Washington are cracking down on distracted driving. Keep your eyes … and attention, on the road. Olsen, E.O., R.A. Shults, and D.K. Eaton, Texting while driving and other risky motor vehicle behaviors among US high school students. National Highway Traffic Safety Administration. Policy Statement and Compiled FAQs on Distracted Driving, http://www.nhtsa.gov.edgesuite-staging.net/Driving+Safety/Distracted+Driving/Policy+Statement+and+Compiled+FAQs+on+Distracted+Driving. Statistics, examples of Distracted Driving Accidents to discourage people from using Cell Phones behind the wheels.